Chantale Bara has now taken over from the legendary Paul, her father, to ease the Champagne House of Bara in to its seventh generation. Established in 1833, La Maison Bara has built a reputation as the great ambassador for the champagne village of Bouzy, including its famous red wines. All of its 11 hectares are situated within this famous Grand Cru commune. The house style is accordingly generous and rich, the tirage taking place over a minimum of four years in the 100 year-old cellars, dug 36 feet under the property. The champagnes are colourful and rich, voluptuous and honied, yet always finely balanced and pleasingly textured. Chantale Bara has now taken over from the legendary Paul, her father, to ease the Champagne House of Bara into its seventh generation. 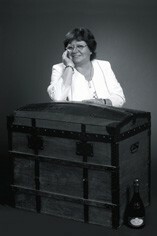 Established in 1833, La Maison Bara has built a reputation as the great ambassador for the Champagne village of Bouzy. The Champagnes are colourful and rich, voluptuous and honeyed, yet always finely balanced and pleasingly textured. The reputation of Bouzy resides in the quality and style of its Pinot Noirs, generally ripe, rich and very expressive. All three of these adjectives apply to this, the signature wine from Champagne Bara: a charming, forward Champagne, with a nose evocative of nectarine, plum and spice, then delicious flavours in the mouth which combine ripe fruity notes, a very fine mousse and an elegant, finely sculpted finish. 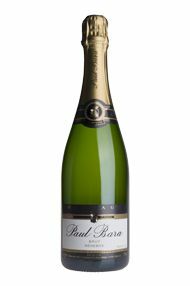 Paul Bara is a legend in Champagne. He took over the firm as a teenager 60 years ago and remembers every vintage in perfect detail. He belongs to the sixth generation to run the company since it was founded in 1833. Many major champagne houses have approached Bara over the years to try to buy the 30 exceptional locations he controls in the village...Despite the traditional methods, Bara's wines have a very elegant fruitiness, which is unique in Bouzy.